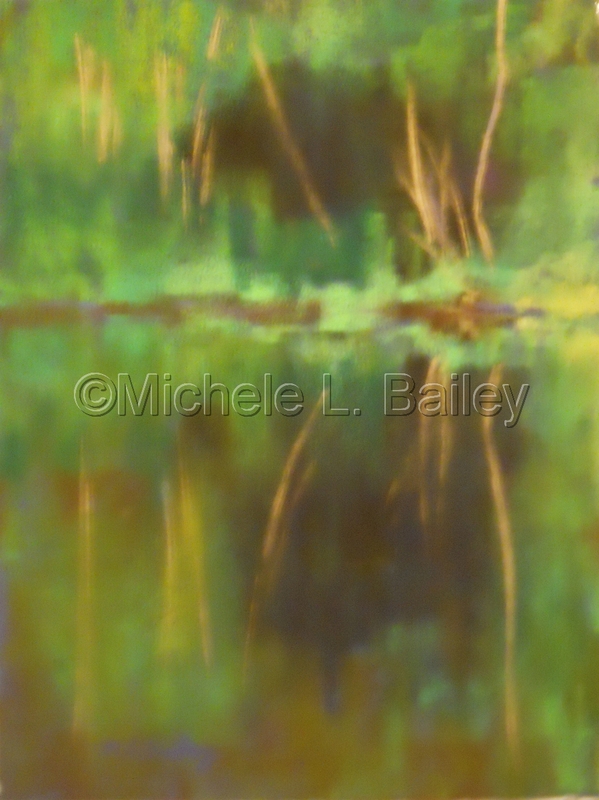 Pastel painting of treeline reflected in the pond. Lots of green. Hear the peepers?